I was recently taking a fitness test for a new fitness app I’m testing out — Runtastic Results. The app required doing as many moves as I could in a certain amount of time — squats, push-ups, sit-ups — to get a baseline for my fitness level. The idea is see how you improve over time as you complete the workouts. More on it later, but when I was doing the fitness test, my kids were really into it. They were doing squats with me, getting in the way of my push-ups and climbing on me during sit-ups. You know, really helping me improve my score. 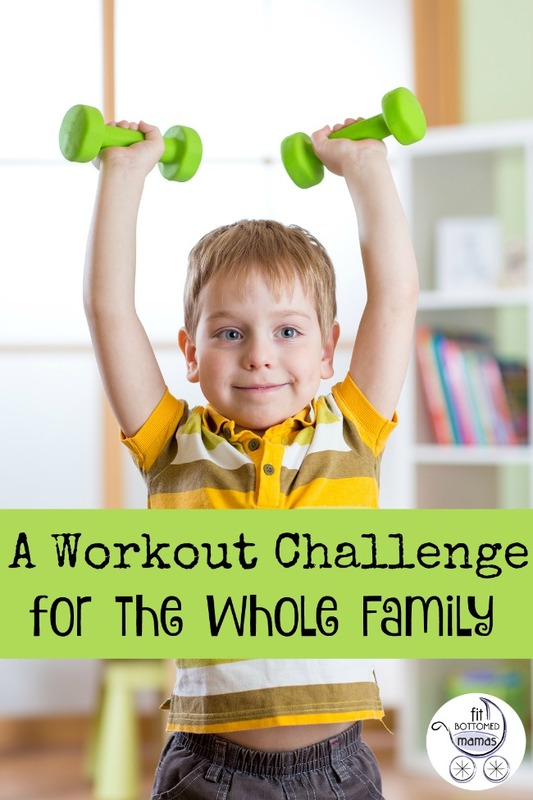 But they were having so much fun that when I saw this family workout challenge from trainer Jenny Schatzle, I thought, of course kids would love this! Jenny encourages the idea that families who play together thrive together. Involving kids in your exercise is not only motivating as kids are built-in cheerleaders for you, but family members are also built-in workout buddies themselves. Plus, it teaches kids good, active habits from a young age. This 5-minute family workout can get everyone involved — and it’s short enough with enough variety to keep even the most distracted little ones interested. Older kids will have fun pushing themselves and competing with you, while the younger ones just have fun moving and playing along. See how many moves everyone can do in 45 seconds, with 15 seconds of rest in between moves. Be sure to write down how many everyone gets so that you can see how everyone improves over time. Moms, of course, can do the moves along with the kiddos to get even more of a workout — once your initial testing is done!